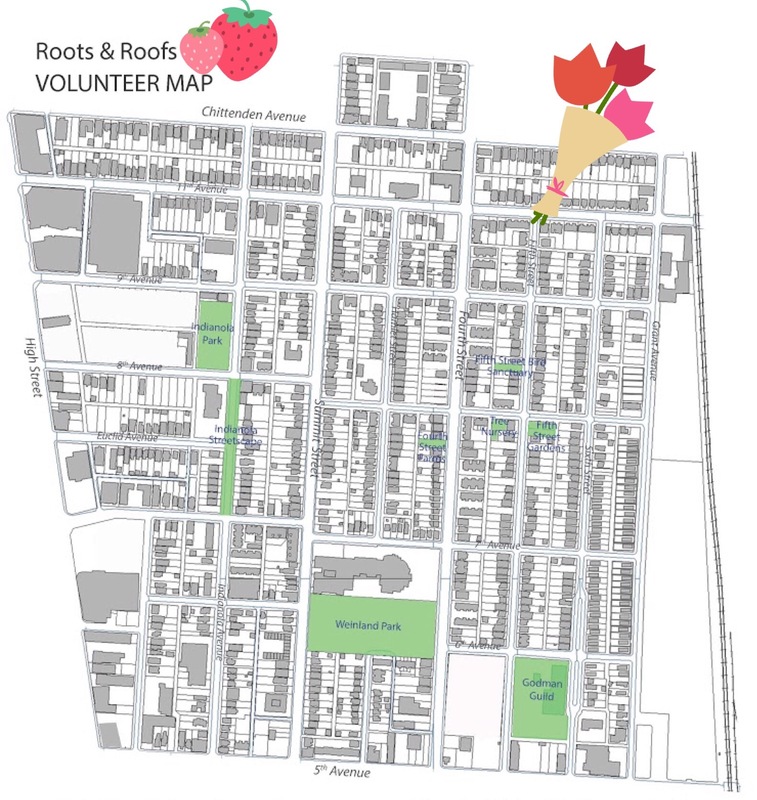 Our 7th Annual Beautification Event Roots & Roofs is May 13, 2017. Volunteers kick off at 9 and lunch is at 12:30 with the plant sale to follow. Join neighbors in planting flowers, mulching, and other activities in community green spaces all around Weinland Park.